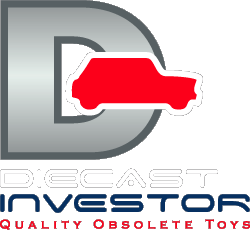 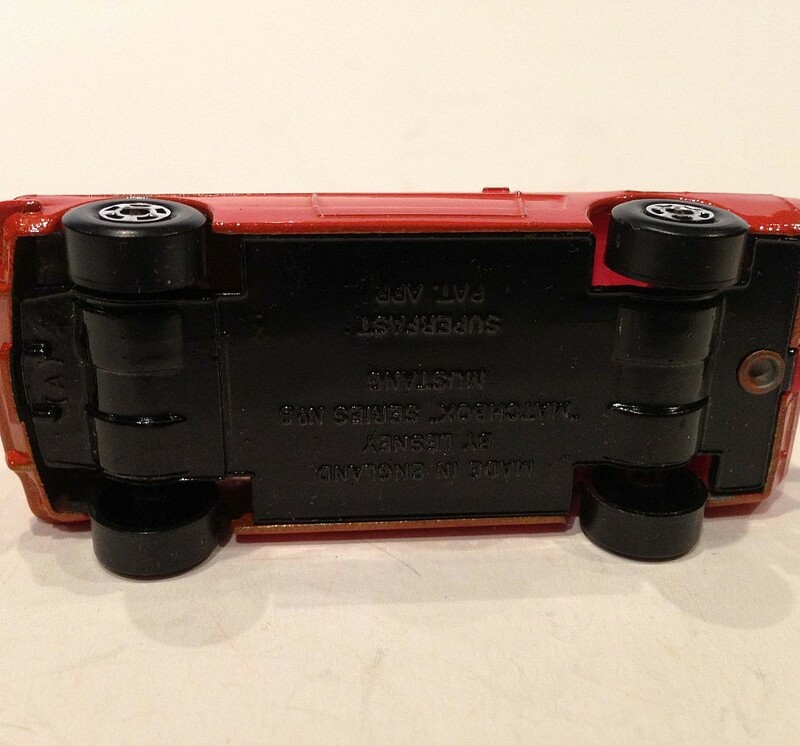 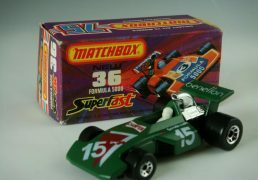 SKU: 2414220130001. 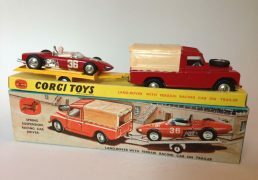 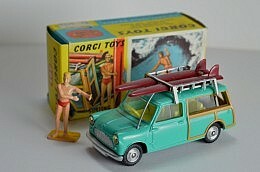 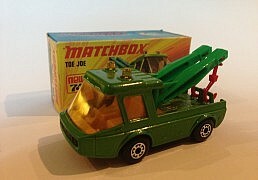 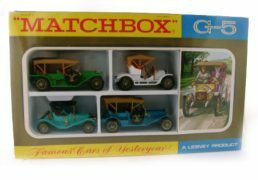 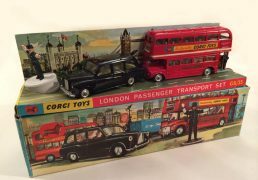 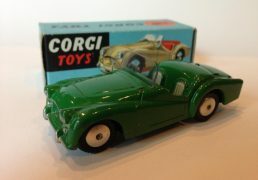 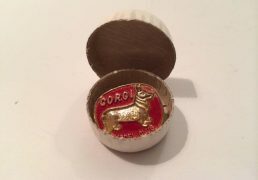 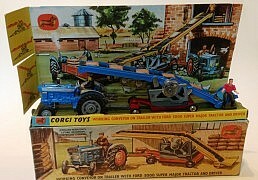 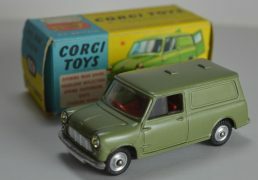 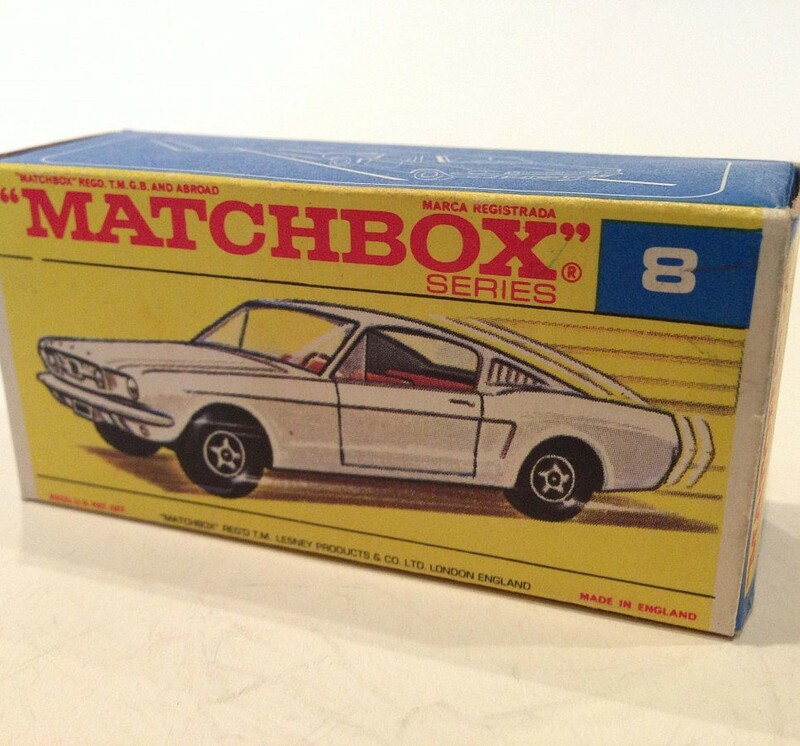 Categories: Archive, Sold Matchbox. 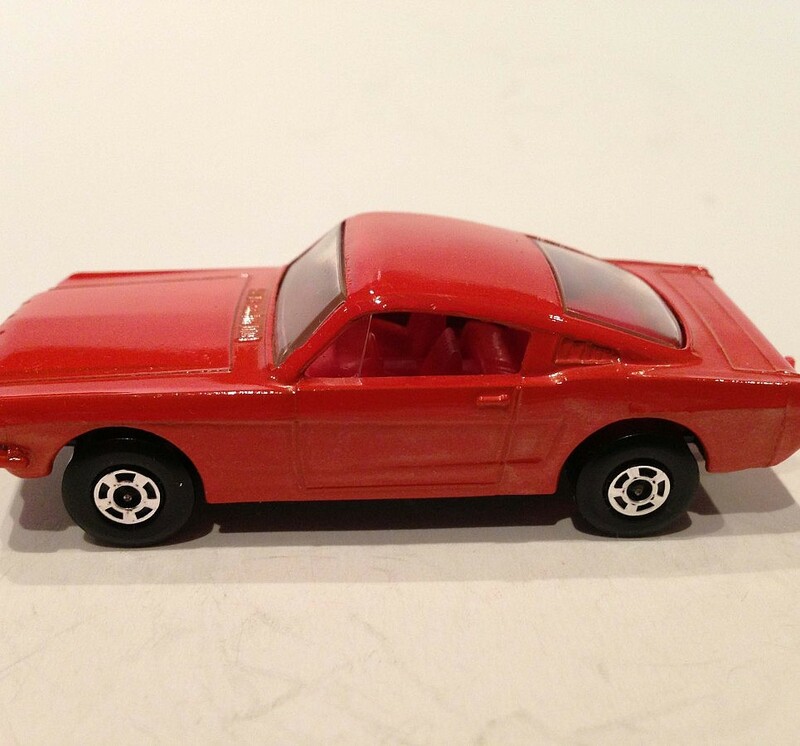 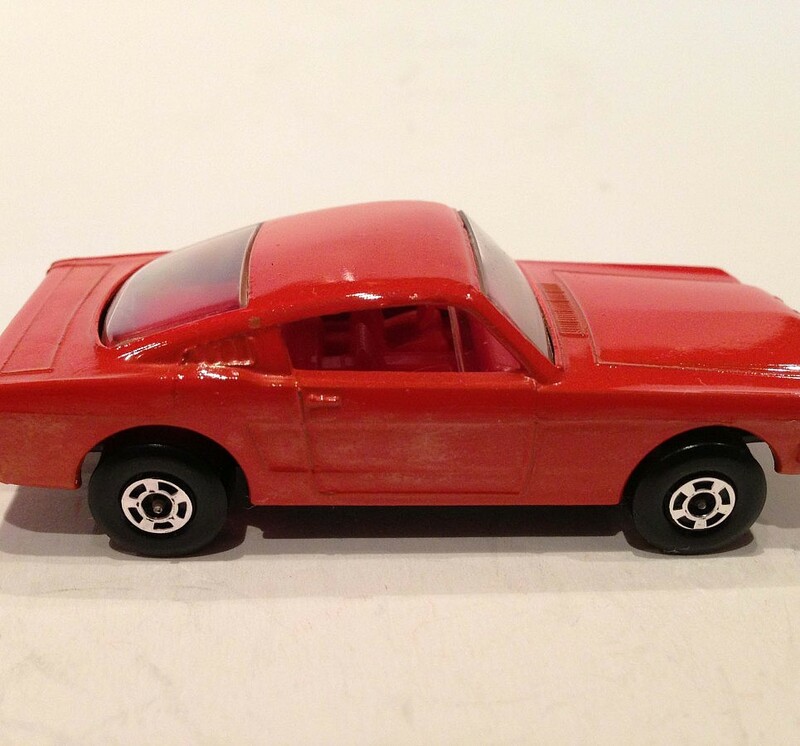 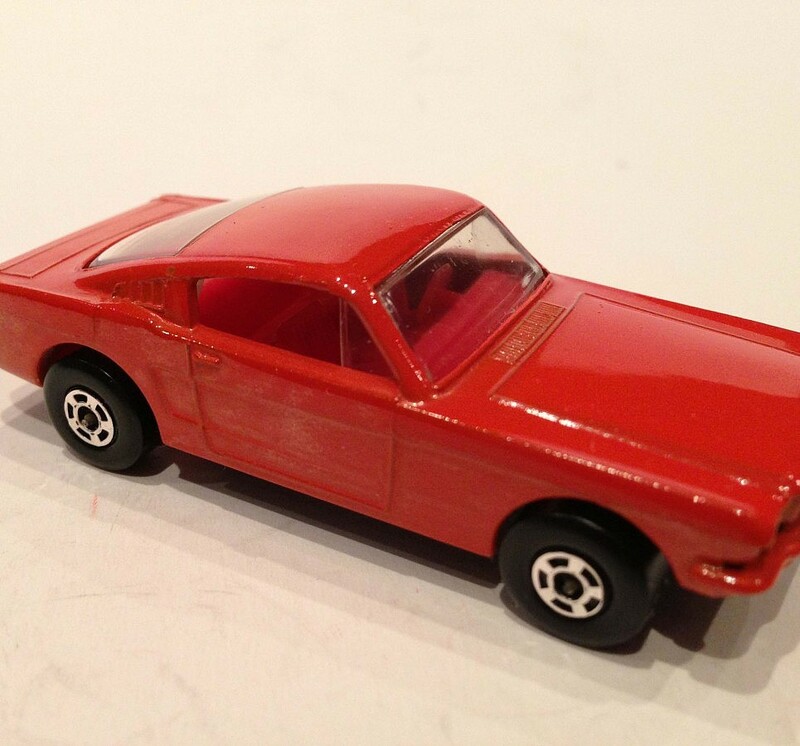 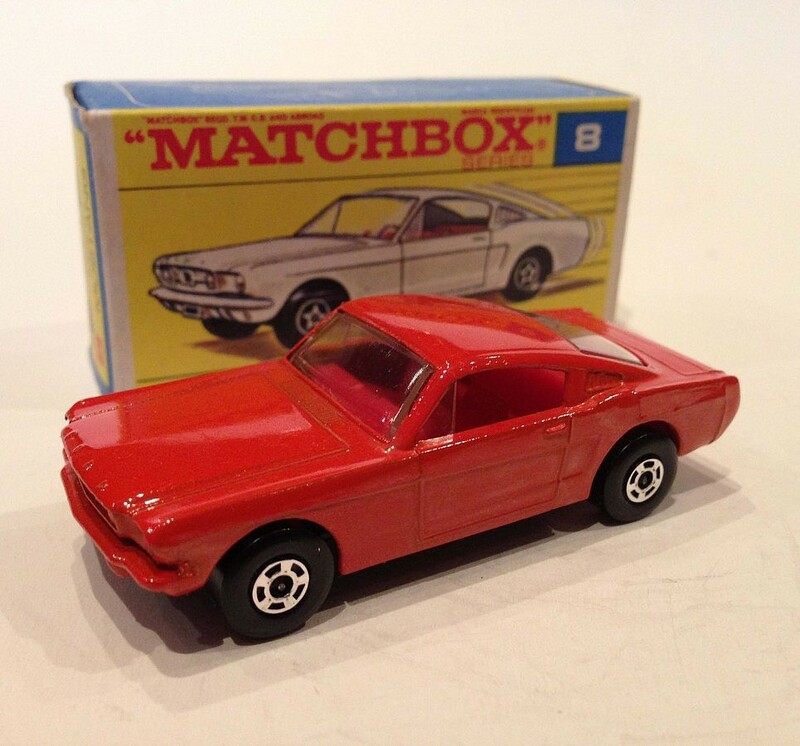 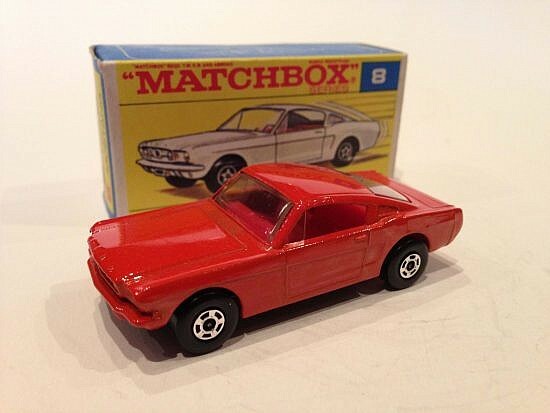 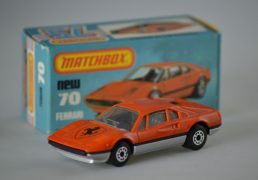 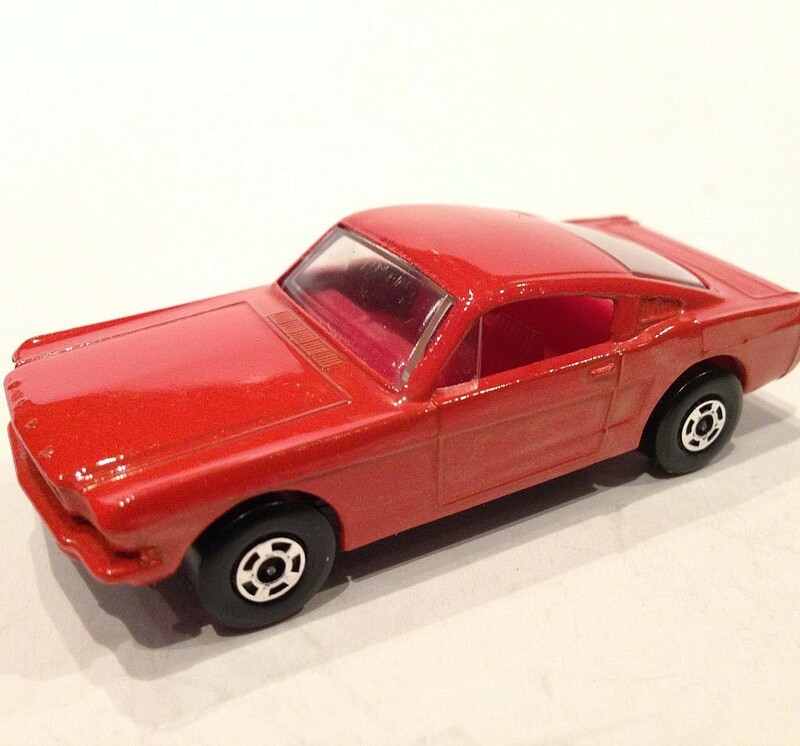 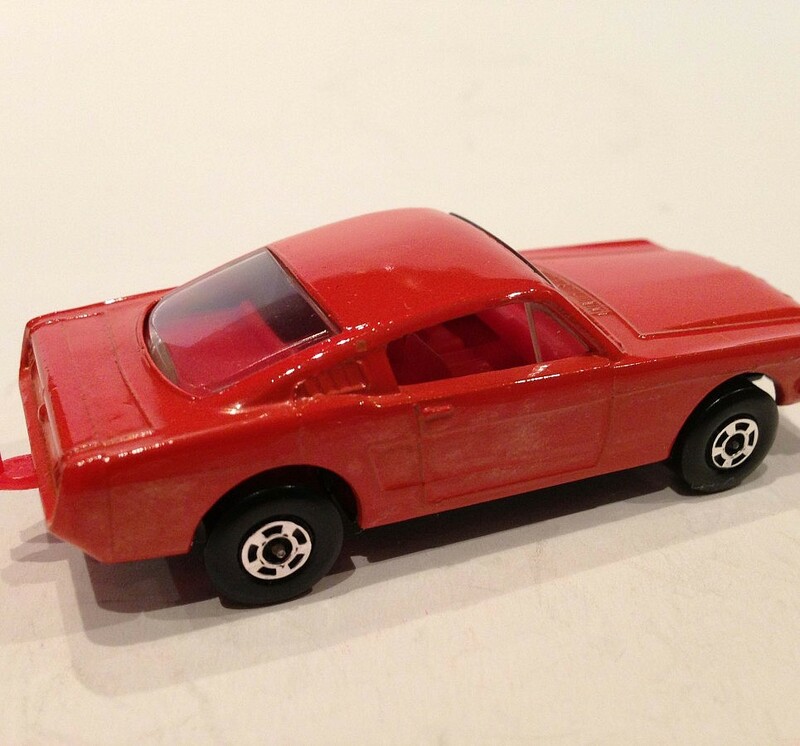 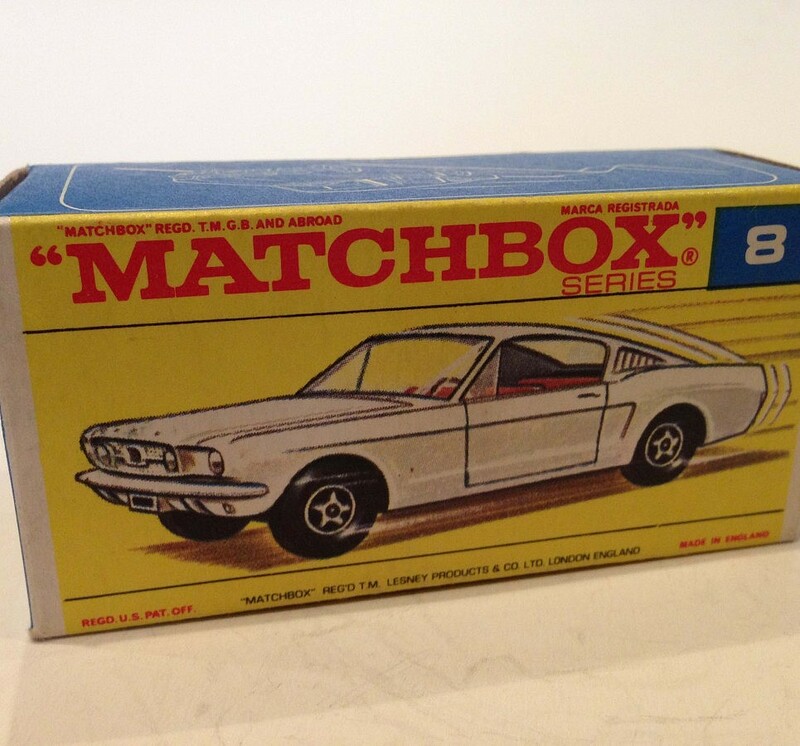 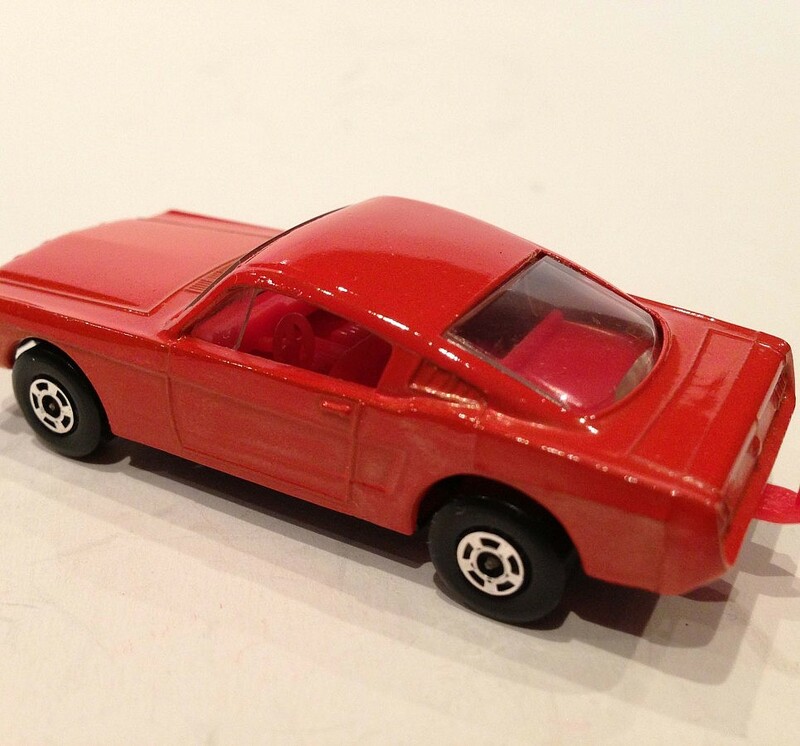 Matchbox Superfast No.8 Ford Mustang Fastback – Orangey red body, dark red interior and tow hook, wide wheels – Mint bright example in Excellent Plus box. 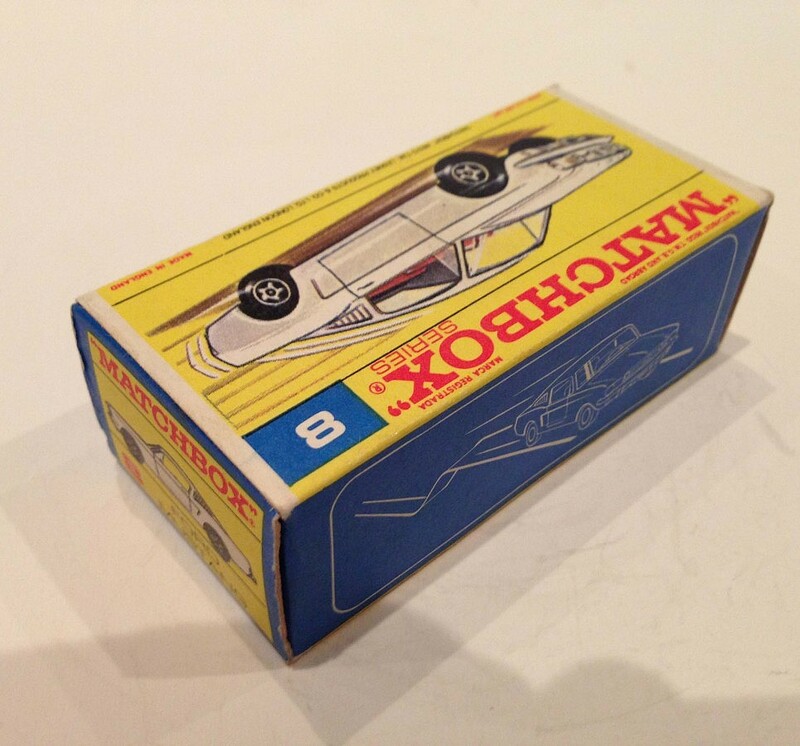 In rare transitional box without Superfast Script.